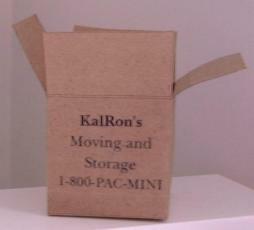 This is a mini moving box that I made many years ago. Its a fitting photo, for where I'm at these days. It will be a few more weeks before I'm totally moved out of the house. But I'm happy to report that I'm settled into the mobile, and back to making minis again. Its so good to be creating again. Welcome to my new followers. I'll be stopping by your blogs soon.